By Keith Cowing on September 30, 2012 9:34 PM. "A recent report by the NASA human architecture team has given us a glimpse of the agency's thinking about future missions beyond low Earth orbit (LEO). Interest is focused on sending human crews to a "Gateway" outpost stationed at the gravitationally stable Earth-Moon L-2 point. The facility, built with plans and parts derived from the construction of the International Space Station, would slowly circle the L-2 point in a halo orbit. From its "hovering" position over the lunar far side, it would be in direct communication with Earth." By Marc Boucher on September 30, 2012 5:33 PM. Marc's note: As some of you have noticed NASA Watch was offline for nearly a day. This was the result of a Denial of Service attack that was directed specifically at NASA Watch (it would appear) and not our other websites. We are working with our ISP to determine the source of the attack. By Keith Cowing on September 28, 2012 1:22 PM. "President Barack Obama ended a months-long fight over NASA relics this week when he signed into law a bill that confers full ownership of early NASA artifacts to the astronauts that took them as souvenirs. The legislation follows a public -- and sometimes bitter -- battle between NASA and its astronaut corps over the sale of keepsakes from the agency's earliest days, most notably the nearly $390,000 auction of a systems checklist from the infamous Apollo 13 mission." By Keith Cowing on September 27, 2012 2:33 PM. "NASA's Curiosity rover mission has found evidence a stream once ran vigorously across the area on Mars where the rover is driving. There is earlier evidence for the presence of water on Mars, but this evidence - images of rocks containing ancient streambed gravels - is the first of its kind. Scientists are studying the images of stones cemented into a layer of conglomerate rock. The sizes and shapes of stones offer clues to the speed and distance of a long-ago stream's flow." By Keith Cowing on September 27, 2012 11:14 AM. "Let me say this clearly, because we hear all the time that NASA has 'abandoned' ExoMars," Bolden said. "We have not abandoned ExoMars, and the Electra payload is an example of our continuing high interest in the mission." "NASA will not be moving forward with the planned 2016 and 2018 ExoMars missions that we had been exploring with the European Space Agency. Instead, we will develop an integrated strategy to ensure that the next steps for Mars exploration will support science as well as human exploration goals." Keith's note: Note: Electra is a UHF radio/relay on MRO. It is already in orbit at Mars. As such, it doesn't take much "high interest" on NASA's part to allow ExoMars or any other mission to use it - as long as it still works. By Keith Cowing on September 26, 2012 10:13 AM. "I was at NASA Ames last week when the final flight of the final space shuttle Endeavour on its way to its final destination occurred. As many people did, I stood outside, on top of our MacMoon's at Ames and took pictures. There were over 20,000 people at NASA Ames that waited hours for an event that took no more than one minute to consummate. Beyond that there were hundreds of thousands more people all around Silicon Valley who were outside and watching when the shuttle flew overhead." Keith's note: There is a comment posted by Mark Uhran, former Assistant Associate Administrator for the International Space Station. Normally I'd refuse to allow ad hominem insults - especially those directed at someone's family - to be posted. But I think Uhran's coworkers might find his bitterness to be noteworthy. By Keith Cowing on September 25, 2012 5:05 PM. "Late last week, the Space Shuttle Endeavor flew atop a 747 into White Sands Missile Range in New Mexico. The shuttle continued its journey to Edwards Air Force Base in California. In October, The Space Shuttle Endeavor will be moved via road to a special display at the California Science Center in Los Angeles. During the flight, DigitalGlobe captured an amazing image of the shuttle." By Keith Cowing on September 25, 2012 2:19 PM. "NASA will host a media teleconference 3 p.m. EDT Tuesday, Sept. 25, to provide details of a summary report provided by the Mars Program Planning Group (MPPG). The MPPG was established to aid with planning for the agency's future Mars Program within available future budgets. The summary report will be posted an hour before the teleconference on NASA's MPPG webpage." "10:15 a.m. PDT (1:15 pm EDT) Report of the Mars Program Planning Group - Orlando Figueroa"
By Keith Cowing on September 25, 2012 12:13 PM. Keith's note: NASA has announced that Patrick Scheuermann will be the new Center director at MSFC. 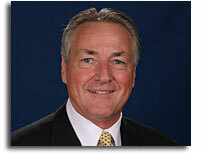 Current SSC Deputy Director Richard Gilbrech has been appointed as the new SSC director. Former MSFC Center Director Robert Lightfoot is now officially NASA Associate Administrator. By Keith Cowing on September 25, 2012 11:20 AM. "Top NASA officials have picked a leading candidate for the agency's next major mission: construction of a new outpost that would send astronauts farther from Earth than at any time in history. The so-called "gateway spacecraft" would hover in orbit on the far side of the moon, support a small astronaut crew and function as a staging area for future missions to the moon and Mars. At 277,000 miles from Earth ... "
Keith's note: NASA PAO has provided this verbose, stock-phrase rich, non-denial-denial response to the Orlando Sentinel article: "NASA is executing President Obama's ambitious space exploration plan that includes missions around the moon, to asteroids, and ultimately putting humans on Mars. There are many options - and many routes - being discussed on our way to the Red Planet. In addition to the moon and an asteroid, other options may be considered as we look for ways to buy down risk - and make it easier - to get to Mars. We have regular meetings with OMB, OSTP, Congress, and other stakeholders to keep them apprised of our progress on our deep space exploration destinations. This concept is a part of the Voyages document that we mentioned in an earlier Update posted on NASA.gov in June: http://go.nasa.gov/NASAvoyages." Refer to page 26 of the chapter titled, "Habitation and Destination Capabilities." By Keith Cowing on September 24, 2012 5:39 PM. "When you have a fire in an aircraft, there's no place to go, exactly, there's no -- and you can't find any oxygen from outside the aircraft to get in the aircraft, because the windows don't open. I don't know why they don't do that. It's a real problem. So it's very dangerous." By Keith Cowing on September 24, 2012 4:52 PM. "Secretary of the Navy Ray Mabus announced today that the first Armstrong-class Auxiliary General Oceanographic Research (AGOR) ship will be named Neil Armstrong. Mabus named the future R/V Neil Armstrong (AGOR 27) to honor the memory of Neil Armstrong, best known for being the first man to walk on the moon. Armstrong was an aeronautics pioneer and explorer for the National Aeronautics and Space Administration (NASA) serving as an engineer, test pilot, astronaut and administrator. Armstrong also served as a naval aviator flying nearly 80 combat missions during the Korean War." By Keith Cowing on September 23, 2012 6:46 PM. "One-time presidential hopeful Newt Gingrich, who promised during the GOP primary to create a U.S. moon colony if elected, criticized Mitt Romney's plan for space exploration as not being "robust" enough. "The Romney plan for space starts to move in the right direction but could be much more robust," the former House speaker told NBC News a day after the Republican presidential nominee unveiled his "Securing U.S. Leadership in Space" plan. "We could move into space much, much faster than we are. Romney is better than [President] Obama on space but could be bolder and more visionary." By Keith Cowing on September 22, 2012 10:40 PM. According to this statement from the Romney campaign by Scott Pace: "We have enjoyed a half-century of leadership in space, but that leadership is eroding due to multiple policy and management mistakes by the current Administration. Our nation's space efforts require clear, decisive, and steadfast leadership to determine exactly where we are going and the larger purposes behind our space program in support of vital national interests. A Romney Administration will provide the steadiness of purpose, coherence, and bipartisan support that our nation's space community needs and deserves." The Romney position paper states: "For the first time since the dawn of the Space Age, the United States has no clear plan for putting its own astronauts into space. We have a space station that we cannot send astronauts to without Russian transportation." Keith's note: Scott Pace's comments evidence total amnesia on his part. Regardless of whether you think it was a good or bad idea, the plan to retire the Space Shuttle and rely upon Russia to transport Americans to the ISS for a number of years was put in place by the Bush Administration - not the Obama Administration. After working in the Bush White House, Scott Pace spent 4 years with Mike Griffin at NASA during the Bush Administration implementing this policy. The net result under their leadership was a gap between shuttle retirement and Constellation implementation that grew, costs that rose, and performance that dropped. 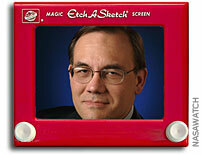 Looks like Pace, Griffin et al have their own Etch-A-Sketch when it comes to space policy. Just shake it and the past goes away. By Keith Cowing on September 22, 2012 10:01 PM. "This isn't the only company making fun off iOS 6 though. NASA's own Curiosity Rover claimed that he was updated to iOS 6 and was now in Norway! What a terrible coincidence. Here's the CuriosityRover's entire tweet: NASA HAVE UPDATED ME TO iOS 6. APPARENTLY I'M NOW IN NORWAY." Keith's note: There is clear confusion between the official NASA Twitter account @MarsCuriosity and the spoof Twitter@MarsCuroisity - this author attributes a tweet from the parody Twitter to one made by NASA's official Twitter account. Between a slight change in spelling and nearly identical design, its easy to be confused - at first - until you actually read the tweets, that is. Some of the stuff is funny. Too bad they have to use the F-word in almost every tweet - rather lazy and uncreative. By Keith Cowing on September 22, 2012 5:59 PM. Mitt Romney recognizes the exciting opportunity that the commercial space industry offers for technological innovation and commerce. He will establish a clear framework that ensures NASA serves as a constructive partner for private sector initiatives. - NASA will set the goals and lead the way in human space exploration, working from a clear roadmap in partnership with our allies, research institutions, and the private sector. - NASA will look whenever possible to the private sector to provide repeatable space-based services like human and cargo transport to and from low Earth orbit. It will provide clear and timely guidance as to expected needs so the private sector can plan and invest accordingly. - The private sector will handle commercially viable activities -- from satellite launches to space tourism to new businesses and industries that U.S. entrepreneurs will no doubt create if provided a friendly environment for doing so. NASA will license technology as soon as is practicable, and aim to facilitate the growth of this sector. All of these efforts will produce technologies that can be commercialized throughout our economy, spurring growth and job creation and strengthening our competitiveness. " There is, of course, the required bashing of Romney's opponent and the prerequsite call for (yet another blue ribbon) panel to fix whatever it is that is broken. Otherwise, in addition to its stated commerical policy (above), the Romney team also mirrors the Obama policy i.e. no clear locations are specified, no time frame is offered, and no budget pledges are made. The space policy advisors listed on the position paper are: Scott Pace (Chair), Mark Albrecht, Eric Anderson, Gene Cernan, Bob Crippen, Michael Griffin, Peter Marquez, and William Martel. By Keith Cowing on September 21, 2012 8:41 PM. @ElonMusk: "First test flight hop of our Grasshopper VTVL rocket!". By Keith Cowing on September 21, 2012 2:00 PM. @yembrick "So close to Endeavour that the entire bird doesnt fit in my iPhone pic. #OV105 #spotheshuttle #NASASocial"
"The orbiter, atop its 747 Shuttle Carrier Aircraft (SCA), is scheduled to fly over northern California and a large area of the Los Angeles basin beginning at about 8:15 a.m. PDT." "This photo was taken from the NASA Research Park at Moffett Field on 21 September as Space Shuttle Endeavour made a low level flyover. Credit: SkyCorp." "As soon as I got onto the airport itself the roads were lined thick on either side with cars - and more were parking every second. People had walked up onto bridges where you never see pedestrians. Others congregated in the grassy regions inside of entrance and exit ramps. Again, these are places you simply never see people - much less crowds. This was an immense flash mob that appeared so fast that the police did not have time to respond. No one was directing traffic yet everyone seemed to be cool about being considerate and safe." By Marc Boucher on September 21, 2012 9:45 AM. "SpaceRef is pleased to announce that award winning veteran reporter Craig Covault has agreed to join the growing SpaceRef team. Craig will be a Contributing Editor for SpaceRef's Space Quarterly magazine and a Senior Editor for SpaceRef's network of web sites." Marc's note: I'm happy to make this announcement, Craig will be a great addition to our team. House Bill Cites "$20 Billion Wasted on Uncompleted Programs"
By Keith Cowing on September 20, 2012 3:01 PM. "The last 30 years have been marked by canceled programs due to cost-overruns, mismanagement or abrupt program changes at the start of each new administration. In the past 20 years alone, 27 programs have been cancelled resulting in over $20 billion wasted on uncompleted programs. This legislation establishes a new Board of Directors to provide a quadrennial review of space programs and a vision for space exploration that will set a tone for NASA's endeavors to ensure American preeminence in the space industry." "Rep. Gene Green, D-Houston, said despite his involvement in previous bipartisan successes with NASA legislation, he was not contacted during the drafting of the Space Leadership Preservation Act. "It sounded like they just wanted Republicans on it, they didn't want it to be bipartisan," he said. With Congress breaking for election season after this week and loaded schedule of legislation to deal with before the end of the session, Green said he doubts anything will come of the act and suspects it is largely an election ploy." By Keith Cowing on September 20, 2012 2:31 PM. "Orlando Figueroa will brief the National Research Council's Committee on Astrobiology and Planetary Science (CAPS) next week on the results of his Mars Program Planning Group (MPPG) effort. Figueroa is scheduled to brief the committee on Tuesday at 10:15 am PT (1:15 pm ET) at the NRC's Beckman Center in Irvine, CA. The NRC plans to webcast the meeting." By Keith Cowing on September 20, 2012 11:19 AM. "NASA Administrator Charles Bolden dismissed rumors that the future of U.S. space exploration is in jeopardy and rejected speculation that his agency has no plans for future human spaceflight. "Those who perpetuate that myth only hurt the space program," Bolden told businessmen, academics and journalists Tuesday afternoon at the National Press Club. "Such talk undermines our nation's goals at a very critical time," he said. "The truth is we have an ambitious series of deep space destinations we plan to explore and we are hard at work exploring the hardware and the technologies to get us there." By Keith Cowing on September 20, 2012 11:09 AM. "After the refueling stop at Biggs, the SCA and Endeavour will make low-level flybys of the White Sands Missile Range and NASA's White Sands Test Facility in New Mexico, as well as Tucson, Arizona en route to California. The flyover of Tucson will take place approximately an hour and 15 minutes after departure from Biggs. Arrival at NASA's Dryden Flight Research Center on Edwards Air Force Base is scheduled for approximately noon PDT." By Keith Cowing on September 20, 2012 9:56 AM. "Jaylee Mead and her husband, Gilbert, came, in some ways, from different universes. Gilbert was an heir to the riches of Consolidated Papers in Wisconsin -- one of the largest papermakers in North America -- while Jaylee was the daughter of a general store owner in rural North Carolina. They worked together for years at the Goddard Space Flight Center in Greenbelt, he as a geophysicist and she as an astronomer, one of the few women of her generation to pursue a career in astrophysics." By Keith Cowing on September 19, 2012 9:24 PM. "We're thrilled that Riley, the Canadian Space Agency contest winner from Abbotsford, suggested our Holy Crap cereal be sent to the International Space Station" says Corin Mullins, CEO of HapiFoods Group. "We originally developed the cereal for emergency kits because of its healthy nutritional content and long shelf-life so it seems more than fitting for it to go up to the Space Station. .. Holy Crap, the Dragons' Den organic hemp and chia seed cereal phenomenon, rocked the Canadian natural food product industry ..."
Continue reading Astronaut Visit Results in Blacklisting by Azerbaijan. By Keith Cowing on September 19, 2012 6:05 PM. "NASA's Science Mission Directorate (SMD) and Human Exploration and Operations Mission Directorate (HEOMD) intend to release a Cooperative Agreement Notice (CAN) for the NEW NASA science and exploration institute (name to be determined) no earlier than October 2012. The new institute will retain the successful structure of the NASA Lunar Science Institute (NLSI), consisting of new peer-reviewed and competitively selected teams managed by the current small central office located at NASA Ames Research Center. The new institute will be a virtual research organization that leverages knowledge and expertise from the science and exploration communities and supports NASA's goals in lunar and planetary science and human exploration of the solar system. It is anticipated that approximately seven teams will be selected in response to the proposed CAN." By Keith Cowing on September 18, 2012 6:21 PM. "The International Lunar Observatory Association (ILOA) of Kamuela, Hawaii has signed a memorandum of understanding with the Beijing-based National Astronomical Observatories (NAOC) of the Chinese Academy of Sciences ... [Steve] Durst said that the exchange in kind calls for China's NAOC to receive observing time on the ILO-X and ILO-1 mission instruments -- science gear that's part of the International Lunar Observatory Association's work with Moon Express, a Google Lunar X Prize enterprise based at NASA Research Park at Moffett Field, Calif."
By Keith Cowing on September 18, 2012 4:44 PM. "NASA's ferry flight of space shuttle Endeavour atop the 747 Shuttle Carrier Aircraft (SCA) is rescheduled for Wednesday, Sept. 19 due to an unfavorable weather forecast along the flight path on Tuesday, Sept. 18. Endeavour now is expected to arrive at Los Angeles International Airport (LAX) on Friday, Sept. 21." "NASA's ferry flight of space shuttle Endeavour atop the 747 Shuttle Carrier Aircraft (SCA) has been rescheduled due to an unfavorable weather forecast along the flight path. The planned flyover of northern California has been postponed 24 hours and is now scheduled for the morning of Friday, Sept. 21." "We have approval from the FAA, Ferry Ops Manager and SCA Commander to publish or externally use the following expanded language for the California flyover: ... "
By Keith Cowing on September 18, 2012 3:43 PM. "On Thursday, Reps. John Culberson (TX-07), Frank Wolf (VA-10), Bill Posey (FL-15), and Pete Olson (TX-22) will announce the introduction of the Space Leadership Act that will change business as usual at NASA and result in a more stable and more accountable space program. Rep. Lamar Smith (TX-21), Chairman of the House Judiciary Committee, is also an original cosponsor of the bill." By Marc Boucher on September 18, 2012 9:15 AM. "NASA Administrator Charles Bolden and Small Business Administration Administrator Karen Mills will speak about the contributions of small businesses to the success of the Mars Science Laboratory Curiosity rover mission during a Google+ Hangout at 10:30 a.m. EDT Wednesday, Sept. 19. " Marc's update: It's good to see NASA using social media tools like Google+ Hangout. I hung out in a recent sessions and it proved to be very informative. What's more, you can ask Bolden questions in this one. Now whether your question is passed on and answered is another matter. But it is a cost effective way of getting your message out and interacting with the public. We'll see if these sessions catch on. By Keith Cowing on September 16, 2012 12:29 PM. "On Aug. 6, NASA again made history by successfully landing the Curiosity rover on Mars to look for signs of life and pave the way for the first human mission. No other country in the world has done what we have done on Mars. I was almost as excited by that miracle landing as I was in 1969 as an 18-year-old girl, mesmerized by the sight of American footprints on the moon. President Kennedy never lived to see that dream come true. But so many of his miraculous dreams are living reality today." "And while Obama was in the neighborhood of the Kennedy Space Center, he praised NASA for the successful landing of the spacecraft Curiosity on Mars last month. Obama called Curiosity "an incredible achievement that speaks to our sense of wonder and can-do spirit." He said the landing serves as "an example of what we do when we combine our science, our research, our ability to commercialize new products, making them in America." By Keith Cowing on September 14, 2012 7:03 PM. "Cuts of approximately $110 billion are set to take effect in Jan. 3, according to an agreement reached by the administration and Congress, with half of the cuts falling on discretionary and non-discretionary defense budgets, and the other half affecting non-defense budgets." "NASA would lose $417 million from its science budget, $346 for space operations, $309 for exploration, $246 for cross agency support, among other cuts." "NASA's science programs would drop by $417 million to about $4.7 billion, and its Exploration account would fall by $309 million to about $3.5 billion." "Other alarming cuts include $1.4 billion in funding for NASA ..."
By Keith Cowing on September 14, 2012 5:32 PM. "This NASA Research Announcement (NRA) solicits hypothesis-driven Space Biology research proposals for 1) Ground-Based Research Designed to Lead to Space Flight, 2) Rapid Turn-Around Space Flight Experiments 3) ISS Flight Experiments and 4) New Space Biology Investigations. NASA Space Biology experiments have one or more of the following primary goals: 1) to effectively use microgravity and the other characteristics of the space environment to enhance our understanding of basic biological processes; 2) to develop the scientific and technological foundations for a safe, productive human presence in space for extended periods and in preparation for exploration; and 3) to apply this knowledge and technology to improve our nation's competitiveness, education, and the quality of life on Earth. NASA Space Biology (SB) experiments will be designed to discover how space flight affects a diverse group of microorganisms, plants, and animals; study the effects of gravity (g) across the g-spectrum, i.e., from micro- to hyper-gravity; and characterize the biological effects of radiation, magnetic fields, and the interaction amongst species in the unusual environments of space and spacecraft." "Biosciences will be the first research area that CASIS will promote for National Lab utilization. Access to space will give researchers a unique discovery platform for biological and physical processes that can significantly affect cell biology, human health, macromolecular crystal growth and microencapsulation." By Keith Cowing on September 12, 2012 2:47 PM. "The U.S. Senate Committee on Commerce, Science, and Transportation will hold a hearing on "The Path From LEO to Mars." This hearing will examine NASA's exploration portfolio -- both robotic and human -- beyond low-Earth orbit (LEO) to the surface of Mars. The hearing will begin with an update from project scientists working on the Mars Science Laboratory mission." By Keith Cowing on September 12, 2012 2:46 PM. "The purpose of the hearing held by the Subcommittee on Space and Aeronautics is to examine on-going development of the Space Launch System (SLS), the Orion capsule and related systems, as well as discuss how these technologies can be used for future scientific missions." By Keith Cowing on September 12, 2012 2:33 PM. "Today, Wednesday 9/12, NASA will pay tribute to Neil Armstrong and the 50th Anniversary of President Kennedy's "Moon Speech" at 12pm PT / 3pm ET, with NASA astronauts, scientists and engineers coming together in a one-hour Google+ hangout to remember historic NASA innovations and discuss the future goals for scientific discovery and human spaceflight." By Marc Boucher on September 12, 2012 12:33 PM. "The American Institute of Aeronautics and Astronautics (AIAA) is pleased to announce that the 2012 AIAA von Braun Award for Excellence in Space Program Management has been won by Maj. Gen. James B. Armor, U.S. Air Force (retired), AIAA Associate Fellow, and vice president, strategy and business development, ATK Space Systems Division, Beltsville, Md." Marc's note: Coincidentally the current issue of Space Quarterly has an interview with Maj. Gen. Armor. Here's an excerpt. You can read the full interview by subscribing. Continue reading AIAA Honors Maj. Gen. James B. Armor (retired). By Keith Cowing on September 11, 2012 8:03 PM. "Sep 12 2012 2:00 PM"
"September 12, 2012 2 p.m. EDT"
Keith's note: Why is NASA SMD PAO scheduling a media event on MSL at the exact same time as a Senate hearing that includes MSL Project Scientist John Grotzinger and Fuk Li, Director of JPL's Mars Exploration Directorate? You'd think that there'd be a little more coordination on these things within SMD. Why Have One Commercial Crew Website When You Can Have Three? By Keith Cowing on September 11, 2012 7:21 PM. Keith's note: How's this for confusion - Google "NASA Comercial Crew" and these results show up as the top selections. Which one is the main page for people to go to for commercial crew information? Despite claims that they are working the issue, HEOMD's website are just as confused, conflicting, and redundant as they have always been. Alas, this problem is rampant across NASA. No one is actually in charge of its web presence - it just happens. "The following is put at the bottom of most press releases issued regarding Mars Curiosity. "More information about Curiosity is online at: http://www.jpl.nasa.gov/msl, http://www.nasa.gov/msl and http://mars.jpl.nasa.gov/msl." By Keith Cowing on September 11, 2012 4:45 PM. "Finally, there are some who believe that NASA has lost its edge and is no longer the world's leader in space. In fact, some have suggested that we're now number three. Sounds to me like they're either woefully uninformed or, worse, betting against America. That is never a good bet. So, for those who think our space program is in decline, I have this simple message: President Obama and NASA have "Created a Sustainable Vision for Space." America continues to lead the world in space exploration. We're successful undertaking missions that other nations can only dream about, unleashing the entrepreneurial spirit of American industry to do what it does best and investing in game-changing technology that will revolutionize space travel and life on earth. The best days of our space program are ahead of us. And have no doubt: America's space program is better off than it was four years ago." "This report articulates NASA's multi-destination human space exploration strategy using a capability-driven approach NASA is ensuring that the United States fosters a safe, robust, affordable, sustainable, and flexible space program by developing a set of core evolving capabilities instead of specialized, destination-specific hardware These core capabilities allow NASA the flexibility to conduct increasingly complex missions to a range of destinations over time By expanding human presence throughout the solar system, we increase our scientific knowledge, enable technological and economic growth, and inspire global collaboration and achievement." By Keith Cowing on September 11, 2012 11:41 AM. "NASA is offering a variety of special features to commemorate the 50th anniversary of President Kennedy's address at Rice University in Houston on Sept. 12, 1962. In that famous speech, Kennedy proclaimed, "We choose to go to the moon in this decade," which set the United States on a course of space exploration that we continue to build on today. On Wednesday, NASA Television will air in its entirety a high-quality version of the address at 11:15 a.m. EDT, the same time President Kennedy gave the speech 50 years ago." "While Kennedy laid out some broader motivations, once we reached the Moon the American human exploration program almost collapsed. It has suffered ever since from a lack of long term purpose beyond maintaining a level of national prestige and technological capability. A long term purpose is not beyond our reach. It is needed to provide necessary focus to our human space efforts. ... I envision President Obama at Rice University on the 50th anniversary of Kennedy's speech, laying out a renewed vision." By Keith Cowing on September 10, 2012 8:40 AM. "As President Obama visits the Space Coast today, we are witnessing how his policies are bringing jobs to the area and new hope to the space community. Florida's Space Coast has become not just the launching pad for commercial rockets to the station and America's launch pad for the largest heavy-lift rocket that NASA has ever built, but is now also a launching pad for new businesses and jobs of the future. In light of this leadership, Mitt Romney's candidacy presents a stark choice. Romney claims to support the space program, but like many other issues this election, Romney fails to present Americans a plan for the future of NASA and the program that is forever etched in our nation's history." "Mitt Romney and the Republican National Committee have blown it on space. For two years, Republicans have accused President Barack Obama of bungling Brevard County's signature industry. They hammered him in appearances and interviews for canceling Constellation, botching thousands of shuttle jobs and relying on the Russians for lifts to the International Space Station until private U.S. rockets fly. But given a chance to do better, Republicans in Tampa approved a platform that calls for ... staying the course. Their plan is, literally, Obama's plan." The president picked a tricky spot in Florida to make his case. The Melbourne area supported Republican nominee John McCain in 2008 by a wide margin, but demographic changes have made the area more friendly to Democrats, an Obama campaign official said. Mindful of the importance of the space industry to voters in a part of the state that includes the Kennedy Space Center, Obama defended his administration's handling of the space program during the rally. Mr. Romney drew laughter during a Republican debate in Florida in January when he proclaimed that he would have fired primary contest rival Newt Gingrich for proposing the establishment of a human colony on the moon. "If I had a business executive come to me and say they wanted to spend a few hundred billion dollars to put a colony on the moon, I'd say, 'You're fired,'" Mr. Romney quipped. "The idea that corporate America wants to go off to the moon and build a colony there, it may be a big idea, but it's not a good idea." By Keith Cowing on September 10, 2012 8:10 AM. "On Sept. 19 the shuttle will head to Biggs Army Airfield in El Paso for refueling and then conduct low-level flyovers of White Sands Test Facility near Las Cruces, N.M., before landing about midday at NASA's Dryden Flight Research Center at Edwards Air Force Base in the Mojave Desert, where it sometimes landed on its own after space missions. On the morning of Sept. 20, the plane will conduct low-level flyovers of NASA's Ames Research Center at Moffet Field, Calif., and yet to be specified landmarks in San Francisco, Sacramento and perhaps other California cities before a low-level flyover of Los Angeles. The plane is expected to land at Los Angeles International Airport at about 11 a.m. Pacific time." Keith's note: I asked Charlie Bolden at the Discovery arrival in Washington Dulles if there'd be a series of NASA center flyovers, stops, etc for Endeavour and he said (with some apparent regret) "no". Now I see that NASA is going out of its way to make sure the NASA family and a lot of America sees Endeavour as she heads for L.A.
By Keith Cowing on September 8, 2012 8:09 PM. "You might be surprised that as part of the Defense Department's mission to protect Americans, your tax dollars funded a workshop about aliens from "Star Trek" entitled: Did Jesus Die for Klingons, Too? It's just one questionable projects under the microscope of fiscal conservative Sen. Tom Coburn, R-Okla., who's taking his red pen to cuts that he sees as no-brainers." "... the government's Defense Advanced Research Projects Agency, or Darpa, drew hundreds this month to a symposium on the 100-Year Starship Study, which is devoted to ideas for visiting the stars. ... Other talks ruminated on theological and philosophical questions. "Did Jesus Die for Klingons, Too?" was the title of one." By Keith Cowing on September 7, 2012 9:30 AM. "On 28-29 August 2012, NASA Goddard Space Flight Center (GSFC) held a Systems Engineering Review for a potential geosynchronous Earth orbit (GEO) servicing mission. Despite stating that "Interested parties must register in order to attend" a number of participants have told me that they did not register in advance and just showed up. According to attendees, during the meeting, participants were openly encouraged to use their cellphones to take pictures of the materials shown on the screen - some (but not all) of which were labeled "predecisional". None of the charts shown had any marking denoting that they were ITAR (International Traffic in Arms Regulations) sensitive in nature." By Marc Boucher on September 6, 2012 11:25 AM. "Considering the changes in the Iranian space organization during the last decade, it was amazing to find a complete stand of the Iranian Space Agency (ISA) at the exhibition of the International Astronomical Congress in Cape Town last fall. This kind of openness was not in concert with the organizational changes that were signified by the more military control of the space scene and space organizations in Iran during the last five years." By Keith Cowing on September 6, 2012 10:43 AM. "President Obama has been a champion, laying the groundwork for an ambitious and sustainable NASA program that is equipped for the exploration and innovation of the future, and today. Obama for America-Florida announces the release of accomplishments President Obama has chartered for the space program through his first term in office. From continued investments in deep space exploration to extending the life of the International Space Station, the President understands this nation must press forward, ensuring a future of investment in a suite of innovative space technology research efforts that will enable bold science and exploration missions in the future." By Marc Boucher on September 5, 2012 12:14 PM. "Israel, a country of close to 8 million people with an approximate $80 million space budget, both civil and military, is ranked 9th in the world in the latest edition of Futron's Space Competitiveness Index. This, despite having less than 1/10th the GDP than four of the countries ahead of it and 1/5th of the other four. Israel is also part of a small exclusive group of nations that has the ability to both manufacture and launch its own satellites. To say that Israel is punching above its weight is an understatement. How did it reach this status? Out of sheer necessity." By Keith Cowing on September 4, 2012 3:24 PM. "... for some residents in South L.A., the excitement of the shuttle rumbling through their neighborhoods quickly faded when they learned that 400 trees will be chopped down to make room for the behemoth. The California Science Center -- Endeavour's final home -- has agreed to replant twice as many trees along the route from the shuttle's docking place at Los Angeles International Airport to Exposition Park... Several alternatives for the Oct. 12 move were considered but ultimately discarded. Taking the massive shuttle apart would have damaged the delicate tiles that acted as heat sensors." Keith's note: Just how many tiles are we talking about? Didn't NASA pull tiles on and off of shuttles on a routine basis - for decades? I am sure a few of those tile maintenance folks could have used a little consulting work. Since these shuttles are not going to fly again, why is this a big deal? The engines on these orbiters are now fake. Indeed, just today NASA announced that it was still trying to give shuttle tiles away. If NASA ever releases the actual proposals it will be interesting to see if the tree removal was mentioned and what effect it would have on property values. By Keith Cowing on September 4, 2012 12:45 PM. Barack Obama: ... "From investing in research on advances in spaceflight technology, to expanding our commitment to an education system that prepares our students for space and science achievements, I am committed to strengthening the base for America's next generation of spaceflight. No other country can match our capabilities in Earth observation from space. In robotic space exploration, too, nobody else comes close. And I intend to keep it that way." Mitt Romney: "... A strong and successful NASA does not require more funding, it needs clearer priorities. I will ensure that NASA has practical and sustainable missions. There will be a balance of pragmatic and top-priority science with inspirational and groundbreaking exploration programs. Partnering Internationally. Part of leadership is also engaging and working with our allies and the international community. I will be clear about the nation's space objectives and will invite friends and allies to cooperate with America in achieving mutually beneficial goals." By Keith Cowing on September 4, 2012 12:25 PM. "Students worldwide have an opportunity to name an asteroid from which an upcoming NASA mission will return the first samples to Earth. Scheduled to launch in 2016, the mission is called the Origins-Spectral Interpretation-Resource Identification-Security-Regolith Explorer (OSIRIS-REx). Samples returned from the primitive surface of the near-Earth asteroid currently called (101955) 1999 RQ36 could hold clues to the origin of the solar system and organic molecules that may have seeded life on Earth. NASA also is planning a crewed mission to an asteroid by 2025. A closer scientific study of asteroids will provide context and help inform this mission." By Keith Cowing on September 4, 2012 12:15 PM. "The time has come for us to again stand up and fight for the future of our science. In part due to you making your voices heard, the US Congress continues work to restore a large portion of the serious cut to the FY 2013 NASA Planetary Science budget. Although the final budget won't be enacted for some months due to the election, planning in both houses of Congress looks positive. Now we must turn our attention to the source of the President's budget - the Office of Management and Budget (OMB) and the Office of Science & Technology Policy (OSTP)." By Keith Cowing on September 4, 2012 11:07 AM. "President Obama has charted a new mission for NASA to lead us to a future that builds on America's legacy of innovation and exploration." Keith's note: That's it? One sentence? Not that I expected more about space (its never a hot theme in presidential cmapaigns) - but with the constant series of press releases coming out of the Obama campaign that go after Mitt Romney's space policy (or lack thereof, so they claim), at least the Romney campaign and the RNC have platform used more words to discuss the issue. Who Do You Want To Advise NASA? By Keith Cowing on September 3, 2012 12:21 PM. Annual invitation for public nominations by U.S. citizens for service on NASA Federal advisory committees. "NASA announces its annual invitation for public nominations for service on NASA Federal advisory committees. U.S. citizens may nominate individuals and also submit self-nominations for consideration as potential members of NASA's Federal advisory committees. NASA's Federal advisory committees have member vacancies from time to time throughout the year, and NASA will consider nominations and self-nominations to fill such intermittent vacancies. 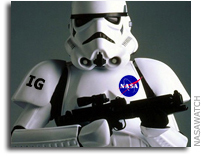 NASA is committed to selecting members to serve on its Federal advisory committees based on their individual expertise, knowledge, experience, and current/past contributions to the relevant subject area." By Keith Cowing on September 2, 2012 1:34 PM. "Congressional and industry sources said Romney's vagueness also could be attributed to divisions within his own team. His advisers include former NASA chief Mike Griffin, who championed Constellation and the big-government approach of exploring space. But other Romney aides are said to support, at least philosophically, Obama's push to rely more on the private sector to send astronauts into orbit, in part because they see that alternative as more cost effective. The conflict pits old-school Republican support of NASA spaceflight against its fiscally conservative roots -- complicated by an unwillingness to side with the current administration. How the internal battle plays out could determine which course a Romney administration would chart for NASA." "Over the past few months, Mitt Romney has hoped that Floridians wouldn't notice how he has no plan for NASA nor any vision for space exploration outside of the Romney-Ryan budget that would devastate the space program. But now that even Republican leaders are calling on Mitt Romney to reveal his real plans for the space program and the middle class, maybe Floridians will finally get answers from Romney."